Among the stamps published in 2015 stamp enthusiasts chose an otter stamp designed by Sándor Stern as the most beautiful. 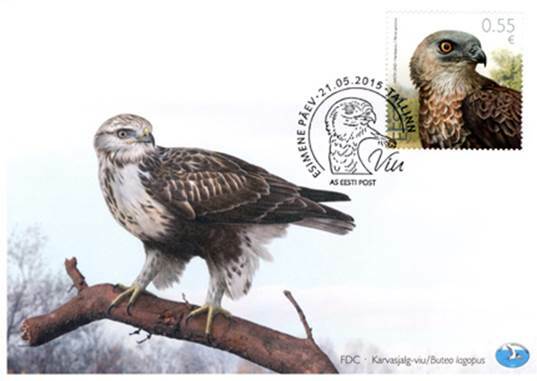 In second place came the stamp with a Bird of the Year, the honey buzzard, designed by Vladimir Taiger. 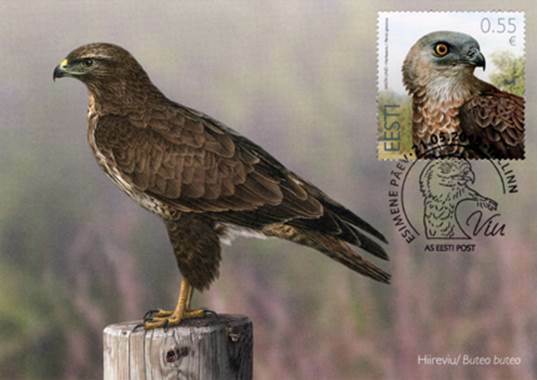 Among the special stamps and envelope sets, the set created by Vladimir Taiger on the bird of the year theme took the first place by great majority. Vladimir Taiger has designed the bird of the year postal sets for many years already and they have often been chosen as the most beautiful of the year.